Next Era is a statewide youth movement of The Louisiana Campaign for Tobacco-Free Living (TFL). 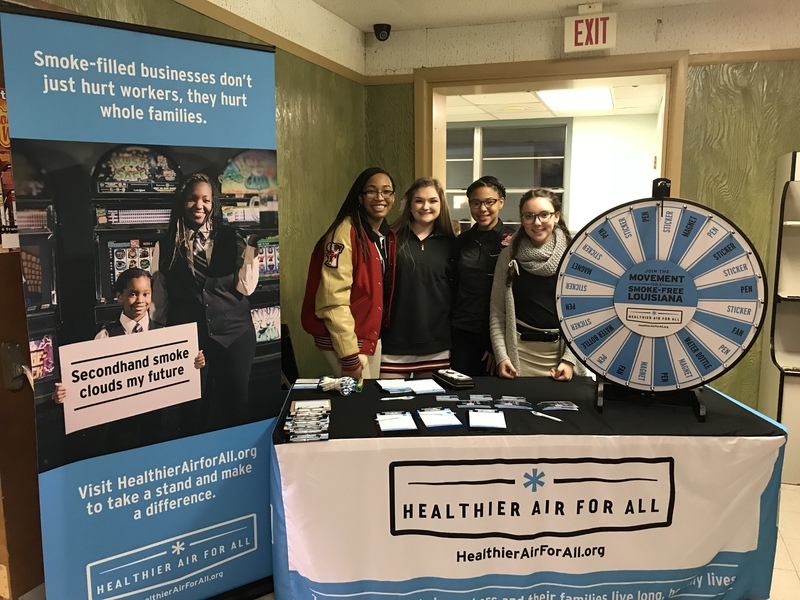 Founded in 2017, Next Era teens across Louisiana are uniting as agents of change to promote healthy, tobacco-free lifestyles. Each year, Next Era partners with high school clubs/organizations across Louisiana. Learn more below. Help recruit high school students in your school/organization to attend a Next Era training conducted by our program staff. Earn money for your club/school as Next Era youth complete program milestones. This money can be used for whatever your club/organization/school needs - it’s entirely up to you. Develop leadership and activism skills. They may even attend state and national conferences to present their work! Next Era covers all costs associated with the Next Era training, events, and projects. Next Era Partner recipients are NOT expected to utilize any portion of their award towards any Next Era program efforts. Interested in the Next Era Partner Program?